Carbs often get a bad rap. While it’s true that some forms of carbohydrates, such as the refined and processed variety, should be avoided, that doesn’t mean we should cut out carbs full stop. Read more: How Many Carbs Should You Really Be Eating? Of course, not all carbs are for everyone. Some people have gluten intolerances or sensitivities, while others are averse to legumes and quinoa; still others are perfectly fine tucking into a big plate of pasta every once in awhile. Listen to your body (consult your physician or a nutritionist if necessary) and stick with the foods and kinds of carbs that work best for you. Having said all that, these carbs below are excellent additions to any healthy diet, barring any food intolerances and sensitivities. 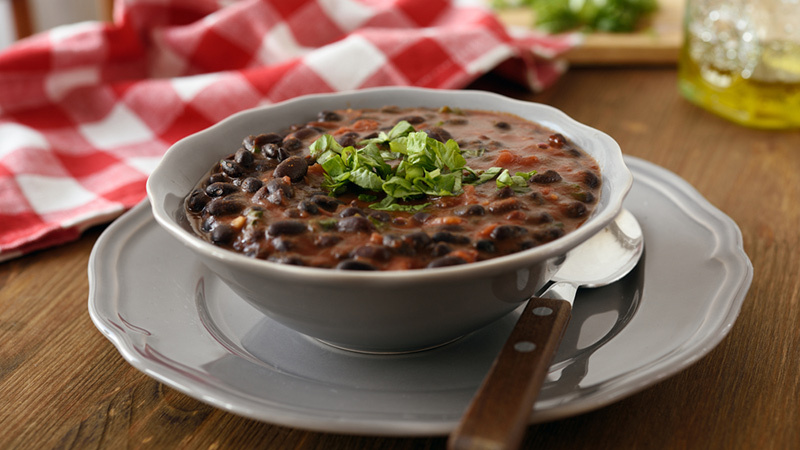 Beans, beans, they’re good for your heart… and black beans in particular are loaded with fat-fighting fibre. Choose low-sodium, organic beans and enjoy them in salads, chilis and stews, or even transformed as healthy black-bean burgers. Rinse well before eating. A delicious winter gourd, acorn squash makes a great meal when baked, and can also be stuffed for an impressive-looking dish your guests will love. (It also works great for soups!). 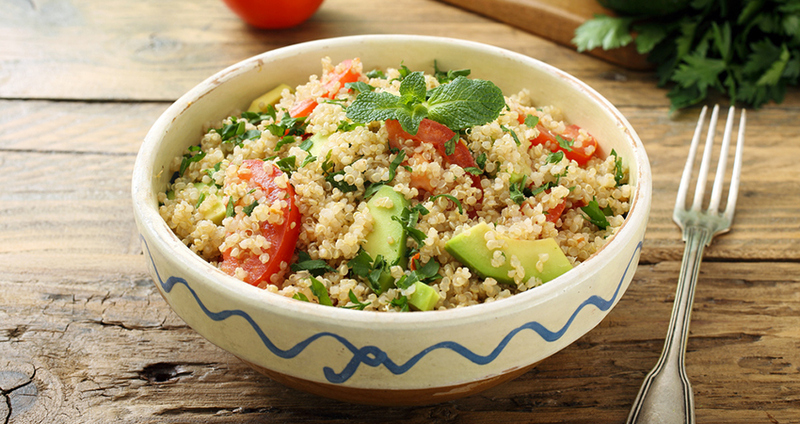 Essential amino acids combine with other nutritious elements to make quinoa an excellent complex carb choice. It has essential fibre, as well as quality protein, to give you energy and stamina. A healthy legume, green peas contain leptin, a chemical that helps hunger pangs. The micro-nutrients and minerals in green peas make them a great choice for soups or as a side dish (or to eat on their own!). Choose organic, fresh peas where possible. 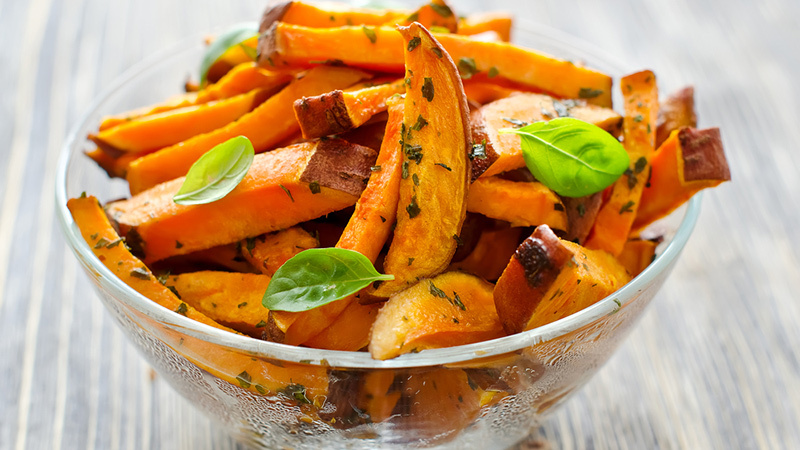 Sweet potatoes are the perfect blend of sweet and savoury, and are incredible versatile; eat them in casseroles, soups, and side dishes, or enjoy them cut into cubes or wedges and baked in the oven until crisp. Delicious. Quick, flavourful, versatile, and satiating: Even though high in calories, brazil nuts are high in fibre and nutrient dense, which means their goodness outweighs their calorie content. Measure nuts before eating so that you don’t overeat. 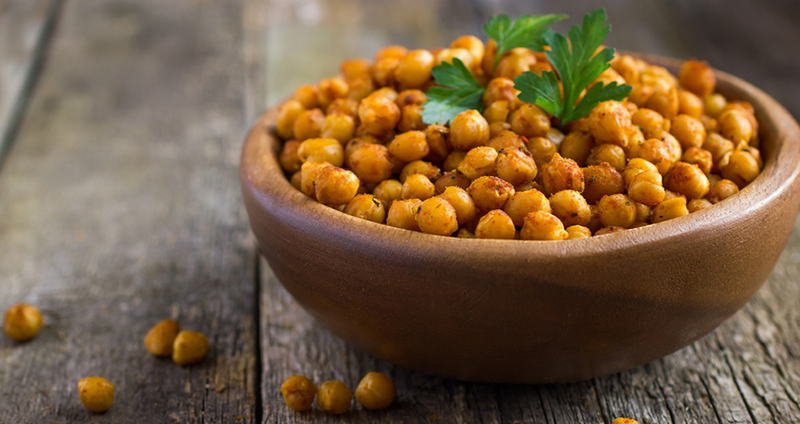 Whether you eat chickpeas, a.k.a., garbanzo beans on a salad, in a casserole, or as hummus, they’re a universally beloved carb that provide energy and fibre. Considered one of the world’s healthiest foods, brown rice is a carbohydrate fat burner. Brown rice is economical and filling. Try some of these brown rice recipes from Martha Stewart to burn fat and beef-up your fiber intake. A delicious alternative to other grains, pearl barley is said to be a natural weight-loss food. 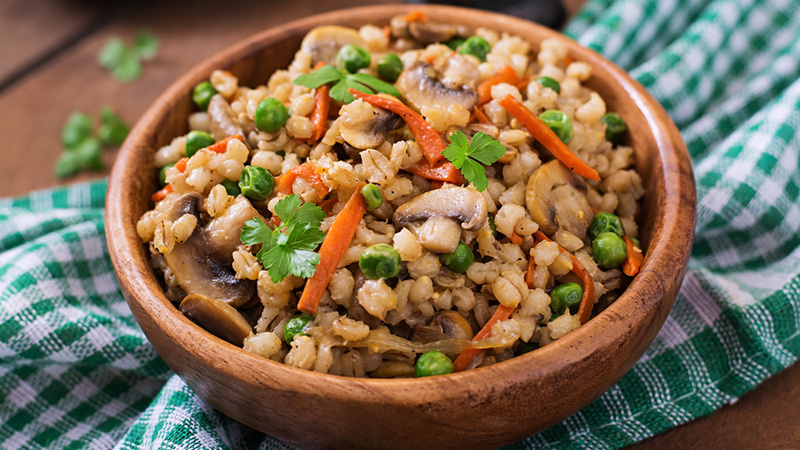 Full of soluble fiber, dense in key nutrients, pearl barley is great on its own or as an ingredient in your favorite casserole. Try it with black beans and sliced grape tomatoes. The satisfying crunch and texture of popcorn makes this a great go-to snack. Keep it on hand when you have a hard-core case of the munchies. There are many varieties of popcorn; choose the one that you like without added salt and butter. Non-GMO, organic, and air-popped at home is by far the best choice. Bottom line: Avoid refined carbs, find out which of these healthy carbs works for you and your body and become a savvy label reader.